Not all Ibanez RG guitars are made for shredding and huge dive bombs. Although you can still shred this fixed bridge RG421EX this guitar is made with a few modifications making it perfect for any style of high gain rocking out you may want to do. Normally with an RG you get a thin maple neck and a very straightforward basswood body that really compliments the floating tremolos on most of these guitars. The RG421EX is however a bit of a different beast as instead of basswood you have a mahogany body so you can get deeper crunchier rhythm sounds even from a small guitar like this. The neck is still made of maple and still has the iconic thin Wizard III profile so nothing is getting in the way of you playing what you want to play. If you are looking at this guitar you most likely want a sound that is hot and heavy that will keep on rocking night after night. 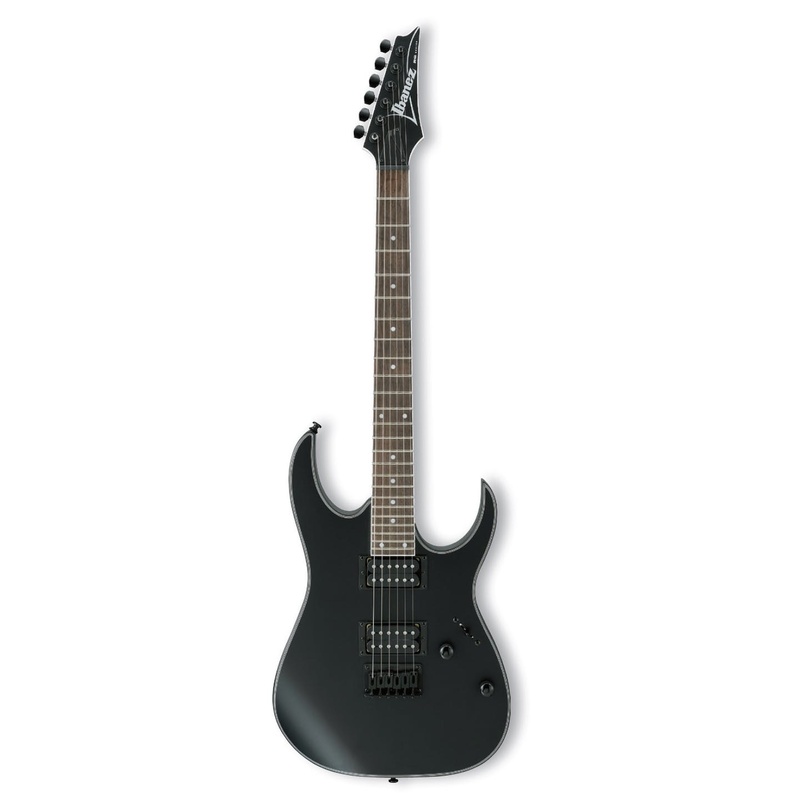 Whether it is as a back up guitar or as your first serious upgrade the RG421EX is a brilliant choice. Unlike a lot of the Ibanez RG guitars the RG421EX has a fixed bridge so you have better tuning stability as the bridge is not moving like with a tremolo.